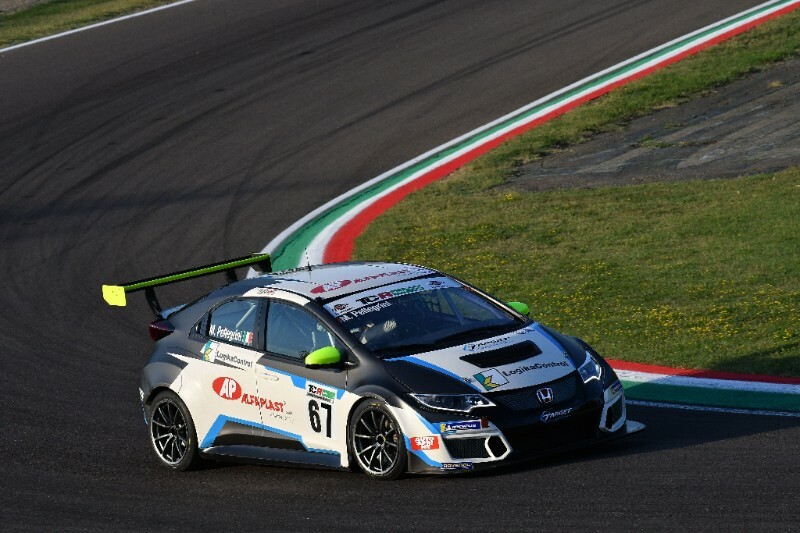 Max Mugelli and MM Motorsport took the first TCR Italy podium for the 2018-spec Honda Civic Type R TCR on a dramatic weekend at Imola. 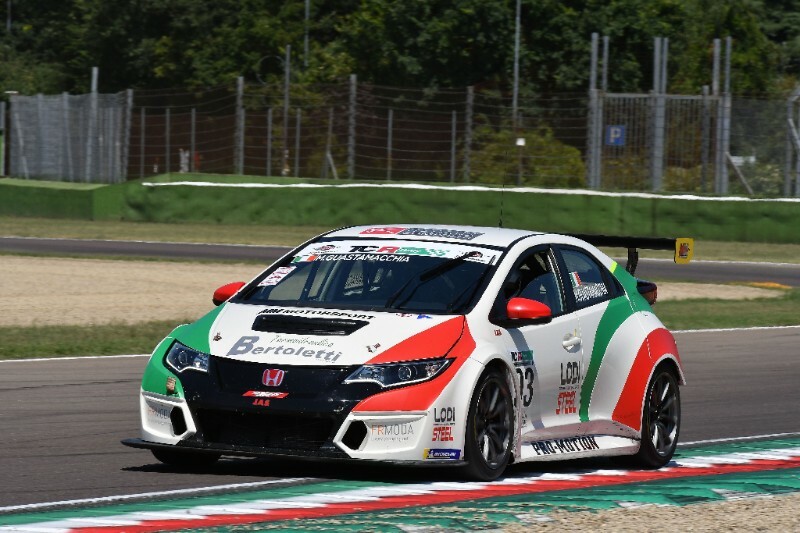 Mugelli, who is competing in the series for the first time this year, qualified in a season’s-best third place and drove well to claim second place in a race truncated by two long spells behind the safety car. 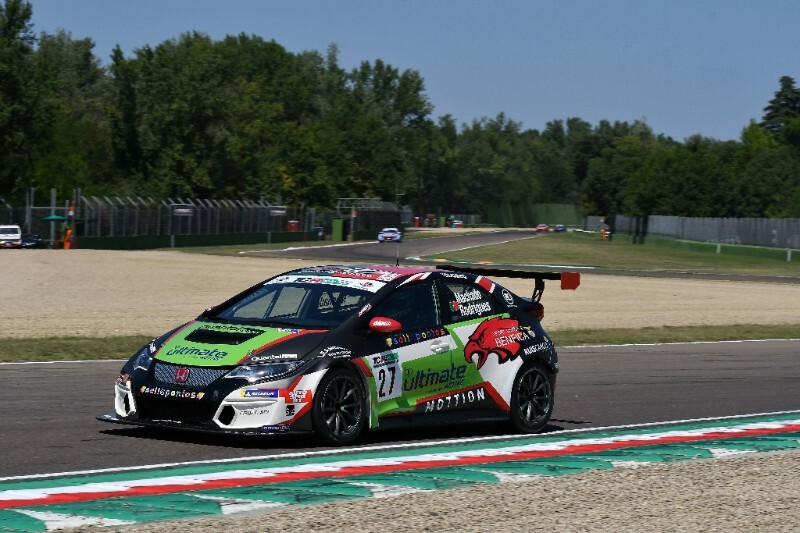 He finished 17th in Sunday’s race to hold ninth spot in the Drivers’ Championship while new team-mate Mauro Guastamacchia took a best finish of 11th on his debut weekend in the series in an older model. Misano race-winner Jurgen Schmarl was a double points finisher in his 2017 model run by Target Competition. He showed excellent racecraft in Race One to emerge in fifth place, making up two spots on the final lap. The Austrian then added seventh on Sunday to sit sixth in the points table. Team-mate Marco Pellegrini was spun out of a top-10 finish midway through Race One by a rival driver and did not score a point during the weekend. Jose Rodrigues retired from the opening race, but his co-driver Cesar Machado did finish 14th in Race Two. 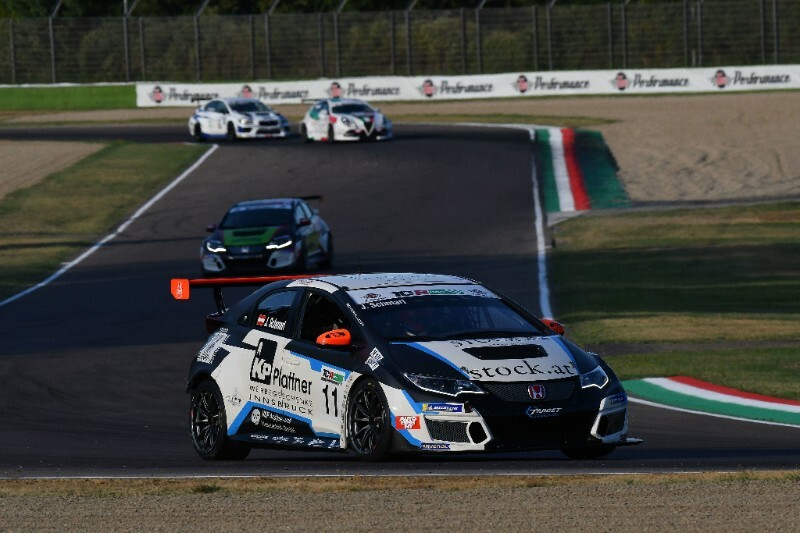 Main: Max Mugellli, MM Motorsport, Honda Civic Type R TCR, TCR Italy, Imola, Italy; Lower: (Row 1 L) Jurgen Schmarl, Target Competition, Honda Civic Type R TCR, TCR Italy, Imola, Italy (R) Jose Rodrigues/Cesar Machado, Target Competition, Honda Civic Type R TCR, TCR Italy, Imola, Italy; (Row 2 L) Marco Pellegrini, Target Competition, Honda Civic Type R TCR, TCR Italy, Imola, Italy; (R) Mauro Guastamacchia, MM Motorsport, Honda Civic Type R TCR, TCR Italy, Imola, Italy.